How Far is ESR Misty Homes? 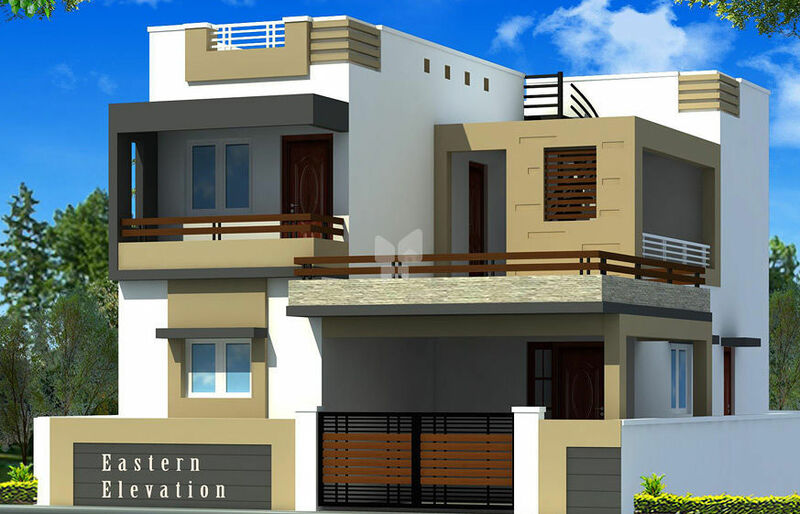 ESR Misty Homes is a residential development by ESR Engineers and Builders. It offers skillfully designed 3BHK villas and is well equipped to all the basic amenities to cater to the needs of its residents. Partially rcc framed & load bearing structure with 9” thick exterior walls and 4 ½” thick interior walls. Premium quality vitrified tiles 2’x2’ for all rooms. Main door - ornamental teak wood entrance door with melamanised polish finish. Inner door – well seasoned teak wood door frame with double paneled artistic skin doors. Glazed tiles dadoing upto 2’0” above the cooking platform. Matt finished ceramic tiles and designer tiles upto roof height in all bathrooms. Branded chromium plated fittings and premium grade sanitaryware. Inner walls finished with roller finish emulsion over a coat of putty. Exterior walls finished with exterior emulsion paint over a coat of putty. Pop corniches for living rooms. 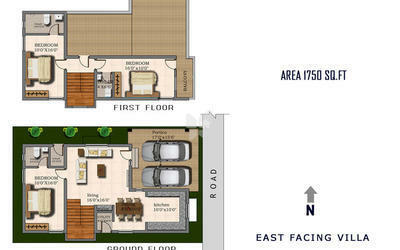 Provision for tv and telephone points in living room and bedrooms. Provision for ac points in all bedrooms. Bore well water and siruvani water supply. Eb, tax, water connection, ugd, registration at extra cost. Only 27, 3bhk luxurious individual villas. Community living with individual compound wall for each villa. 30,000 ltrs capacity overhead tanks. Individual water tank & individual septic tank. Solor light for first street roads. 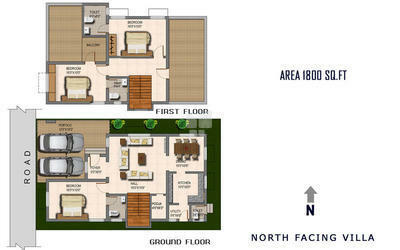 Elegant architectural designed & spacious floor plans.